This is the Python classes and objects part of our entire Python tutorial. And we have said it before even in the introduction that this programming language is object-oriented. This means that almost everything that is present in this programming language is a particular object that has its own methods and properties that it follows in this programming language. Therefore, a class can be imagined as a type of object constructor or a kind of blueprint that is required to create or build any particular object. As a developer, if you further wish to create a Python object class named p1 in the class named MyClass and then if you wish to print the particular value of x then you just need to follow the method given below. 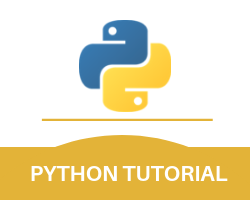 The Python object class example that we have mentioned above is just for your basic understand because of the fact that those examples are extremely simple and they do not hold any kind of significance when it comes to the real-life scenarios and applications. However, if you wish to understand the entire concept of the class in this programming language then it is also important for you to understand the function of _int_. This is a built-in function. It is important for you to know that every single class in this programming language has a particular function of _int_ present. This function is executed every single time when the class is initiated. It is recommended that if you need to assign values to a number of different object properties then you should use this _int_ function once the entire object is created. If you want a create a particular class named Person then you can use the _int_ function to assign the values for age and the name then the Python class example code for that is mentioned below. It is important for you to understand that in the above example the self parameter is actually a reference to the class itself. This parameter is used to access all kinds of variables that belong to this particular class. You can follow the below-mentioned Python class example code to modify the various properties on an object by setting the age of p1 to 40. With this, we finish the Python classes and objects part of our entire Python tutorial.